New Delhi : Congress President Rahul Gandhi on Thursday welcomed an investigative report by English daily The Hindu, that claimed PMO's involvement in controversial Rafale Jet Plane deal with France. 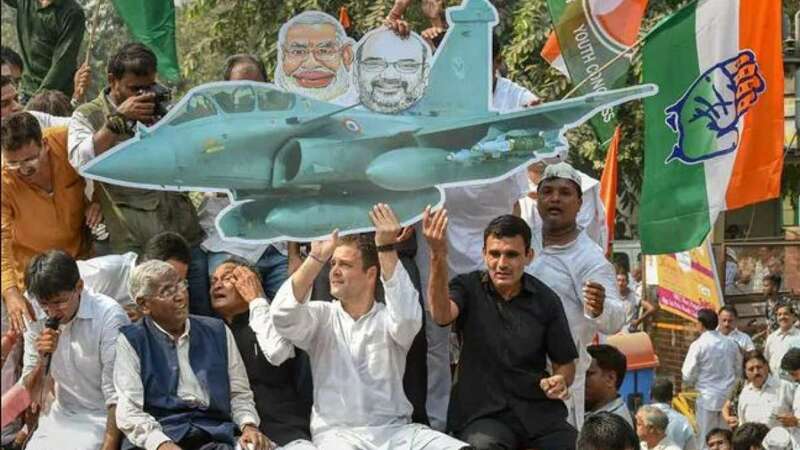 Claiming access to a defence ministry note that records its objections to the involvement Prime Minister's Office in the Rafale deal, the report raises a question on the Supreme Court judgment since "information was withheld from the court," Rahul Gandhi said. A internal note dated November 24, 2015, said the position of the PM's Office was "contradictory to the stand taken by MoD (Ministry of Defence) and the negotiating team" . It is "desirable" that such discussions be avoided by the PMO "as it undermines our negotiating position seriously," the note added. Rahul Gandhi, who had been accusing Prime Minister Narendra Modi of carrying a parallel negotiation with France over Rafale deal, said "Who do you think he's doing parallel negotiations for? Not for you and me? It is for Anil Ambani... this proves that Chowkidaar is a thief". On Wednesday, Prime Minister Narendra Modi has slammed Congress for its allegations on Rafale deal. "I wondered why they speak lies on Rafale with such confidence. Then I realised because they know in all their years in power there hasn't been a single honest defence deal. Some mama, some chacha kept coming in," he said. Today, calling the attention of the thousands of defence personnel, Mr Gandhi said, "You fight for us, you die for us... you must know this, that it is clear that the Prime Minister has stolen 30,000 crore of your money, bypassed the process and given it to his friend Anil Ambani".